However, that self-censorship does not assuage the opposition, which believes that the electoral umpire was up to something by unilaterally making up the essential document, particularly the prohibition of use of mobile phones or such electronic recording gadgets by Collation Officers. 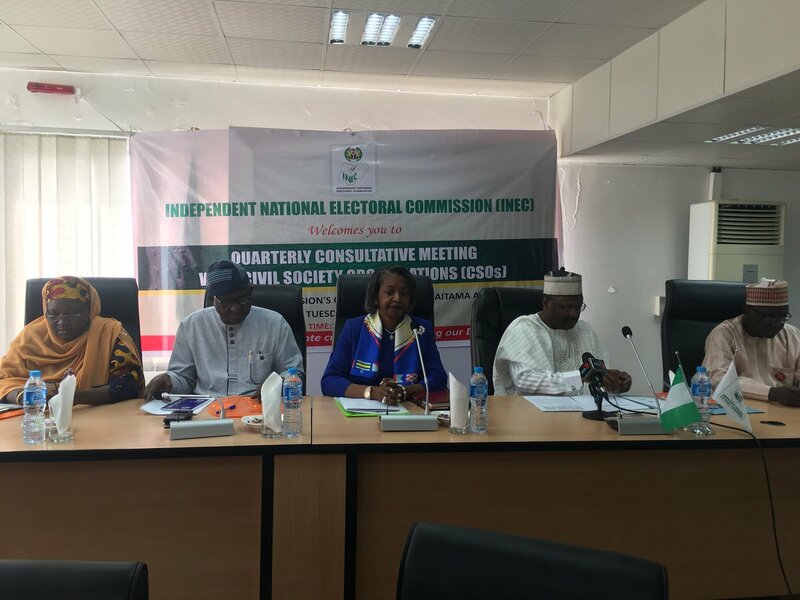 It would be recalled that after deliberations, INEC made good its promise to release the 2019 election guidelines recently, which serve as the model to moderate the conduct of not only this year’s general election, but also other elections until it is revised through a Decision Extract or government gazette. The opening paragraphs of the Electoral Guidelines condensed its criticality to the delivery of a credible poll. 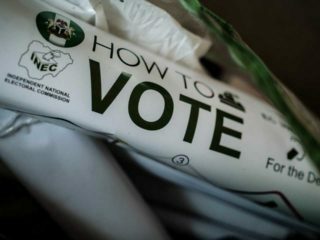 It states: “The Independent National Electoral Commission (INEC) herein referred to as “the Commission” issues the following Regulations and Guidelines for the conduct of Elections (general election, by-elections, re-run elections and supplementary elections). 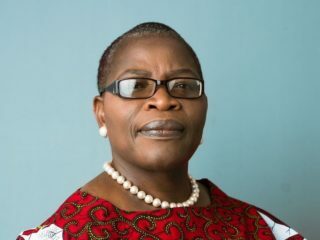 “These regulations and guidelines are issued as a Decision Extract of the Commission of the 21st day of the month of December 2018.”But no sooner had the commission made the document public than some opposition parties renewed their argument that INEC ought to have involved them to make inputs to the guidelines since it is intended to shape the modalities of the election. The opposition noted with dismay that the electoral umpire invited them to a meeting as a perfunctory gesture knowing that it has taken a final decision on the guidelines. They therefore frowned that none of their observations were reflected in the final document that was presented to the public last Monday.Perhaps guided by Josef Stalin’s immortal words that those that cast the votes do not decide the poll but those who count them, or piqued by the worrisome development, the opposition parties under the auspices of Coalition of United Political Parties (CUPP) and Inter-party Advisory Council (IPAC), came together and rejected the draft guidelines presented by INEC. In their bid to hold INEC accountable to transparent processes, the two groups vowed to take the commission to court to reverse what they said is “an injustice aimed at deliberately rigging the forthcoming election.”In a statement by its first national spokesman, Ikenga Ugochinyere, CUPP disclosed that 61 political parties that feel injured by the turn of events have resolved to take appropriate legal actions to stop INEC, not just from releasing the guidelines, but also to quash some sections that disagree with the provisions of the 1999 constitution. 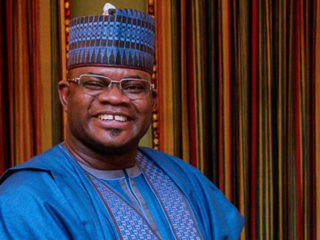 CUPP was particular about the insufferable provisions included in the guideline, including backdoor introduction of incidence forms, which could occasion rigging during the polls.Although Ugochinyere did not release the list of the entire 61 parties involved, he disclosed that the plaintiffs, that is the four national chairmen suing on behalf of the 61 include Ikenga Ugochinyere (APP), Dr. Sam Eke (GPN), Nseehe Nseobong (RP) and Mr. Kenneth Udeze (AA). 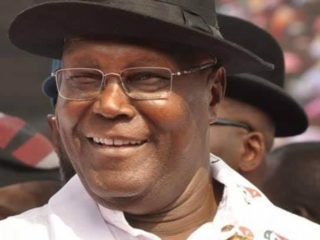 The four, he said, would pray through an exparte motion “for an injunction to restrain the INEC chairman from going ahead with the Monday planned release of the controversial guideline, which majority of the nation’s political parties have rejected over non consultation, obnoxious clauses and the violation of the Constitution. “The chairmen of the political parties still insist that the only way to have free and fair election is for those obnoxious clauses contained in the guidelines which do not promote free and fair elections to be expunged and that the INEC chairman summons an emergency meeting with political parties’ chairmen to finally address the grey areas contained in the guidelines to avoid the 2019 election running into a hitch and credibility crisis even before the day of election. The provision in the guidelines which debars Collation Officers from making telephone calls during collation must have been INEC’s way of addressing the inexplicable instance at the Osun governorship poll, which led to the halting and declaration of the process as inconclusive. However, over and above the need to gag the Collation Officers, CUPP does not seem to accept that token as part of the necessary guarantees for a transparent, free and fair election. That, alongside INEC’s decision to retain an aperture for the use of incidence forms as well as for simultaneous voting and accreditation on the Election Day, riles the opposition. The guidelines stipulate: “Where a voter’s PVC is read, but his/her fingerprint is not authenticated, the APO I shall refer the voter to the APO II, who shall request the voter to thumbprint the appropriate box in the Register of Voters; request the voter to provide his/her phone number in appropriate box in the Register of Voters; continue with the accreditation of the voter; and refer the voter to the PO or APO (VP) for issuance of ballot paper(s). “Where a voter’s PVC is read and the SCR shows the details of another person, rather than the details of the cardholder as printed on the PVC, the APO I shall: Refer the voter to APO II to confirm that the details of the voter in the Register of Voters correspond to those on the PVC; APO II if satisfied that the holder of the card is on the Register of Voters, shall record the phone number of the voter in the appropriate box on the Register of Voters; and Proceed with the accreditation of the voter.”It is that singular specification that the opposition parties kick against and request INEC to revise before it release the guidelines. They noted that quite unlike what obtained during Prof. Attahiru Jega’s era, Prof. Mahmood Yakubu did not incorporate the inputs of major election stakeholders. The opposition also noted that the fact that simultaneous accreditation and voting proved relatively successful during its application in isolated elections does not warrant extending the method to the process of a general election a few weeks to the main poll.Conversely, the 61 party chairmen prefer that INEC retains the disparate accreditation before voting, in such a way that after accreditation on election day, the Polling Unit (PU) officer announces the total number of accredited voters, signs and hands out to parties’ agents at the PU before actual voting begins. They argue that this approach helps to evince transparency and sanctity of the ballot and eliminates the possibility of post-election manipulation, as desperate politicians would not find it easy to inflate the number of votes cast. CUPP expressed apprehension that the space of time between end of voting and announcement of results could facilitate perpetration of various forms of electoral transgressions. It beggars belief that despite his avowals to deliver a credible electoral outcome that would surpass the 2015 record, INEC boss should allow the non-inclusion of stakeholder input to impair the stated virtuous intentions. Nothing short of a transparent and credible process would guarantee a free and fair 2019 election.